Day 2 at OUTLOOK 2017 marked the start of the delegate-led component of the event, with topics suggested by delegates themselves and facilitated by Knowles Tivendale from Phillip Boyle and Associates. Trending topics were put to a vote and delegates disbanded into small groups for some peer-to-peer learning and work-shopping of the topical subjects. 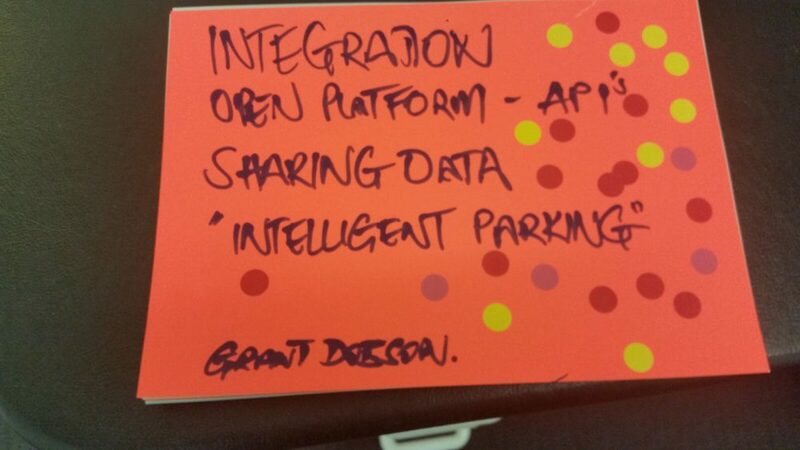 The sessions proved to be a forum for information sharing with popular topics such as smart cities, car ownership, electric vehicles, and planning for the future of on street parking – being well attended. 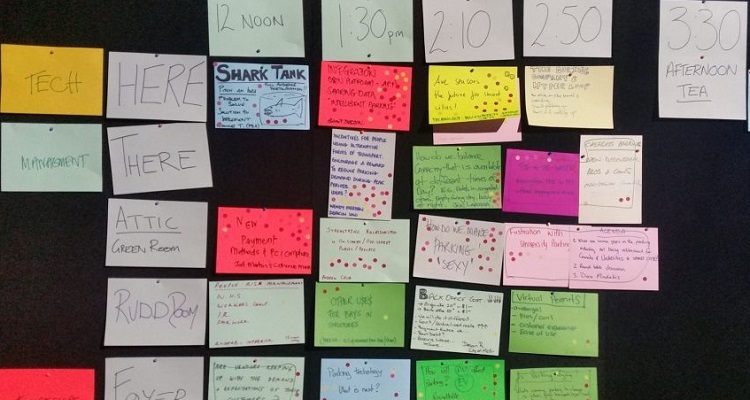 A shark tank session saw the idea of selling on street parking as a business highly debated between the panel of sharks. 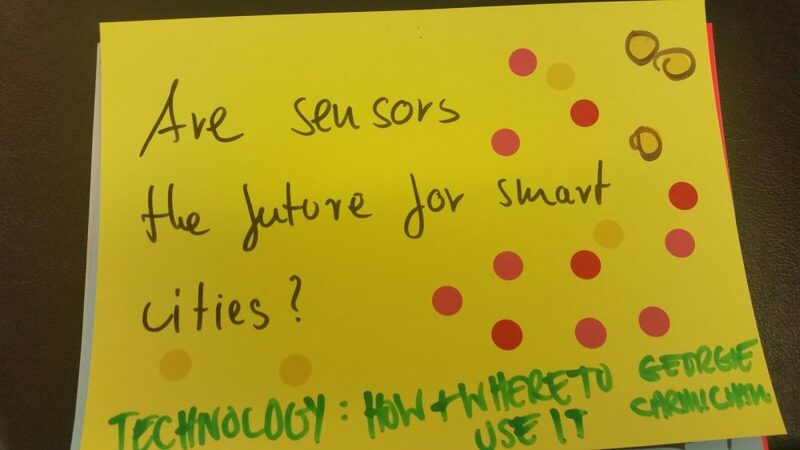 Session: Are sensors the future for Smart Cities? Need to educate market of all options (cameras, sensors, etc). 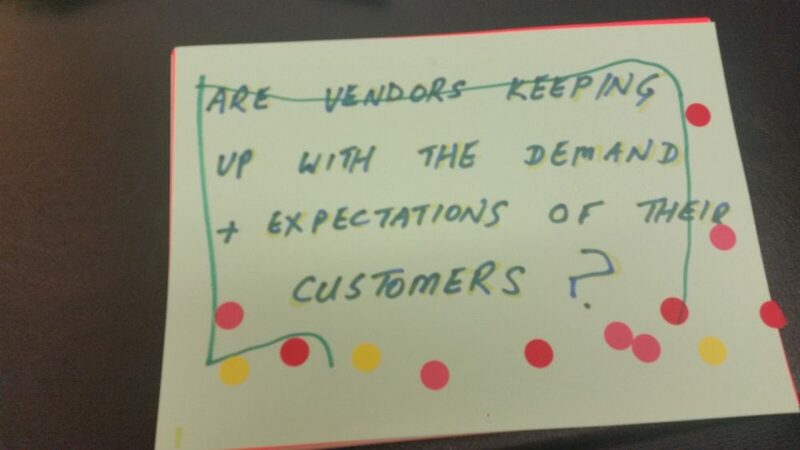 Session: Are vendors keeping up with the demand and expectations of their customers? 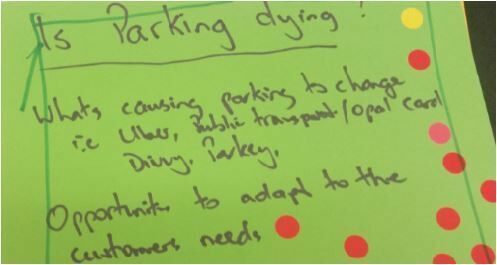 The discussion on solutions led to the clarity of specifying the problem for the group discussion, which was essentially: Improving customer experience by increasing the efficiency of getting them in and out of car parks. Operators are not in the business of providing parking systems, and they are not interested in developing their own. Innovation demand comes from Australia. Equipment suppliers are European or US based. They are not as innovative and don’t react quickly to Australian ideas. Could include a “find my car” feature for when people return to a car park. In Singapore it is compulsory to have an in-vehicle unit. Could be looked at in the same way that governments legislated for car alarms and anti-theft devices. Airports park lots of vehicles but the majority of the uses only use the facilities a few times per year (once per year at international departures). Universities and shopping centres have a lot of repeat customers. Hospitals are in the middle. 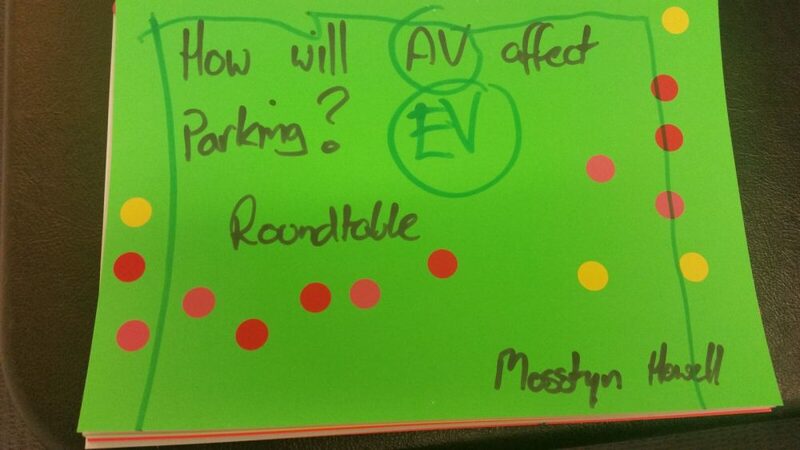 Session: How will Automated Vehicles affect parking? Empty AV’s have no purpose, so why would they be allowed to add to the congestion? 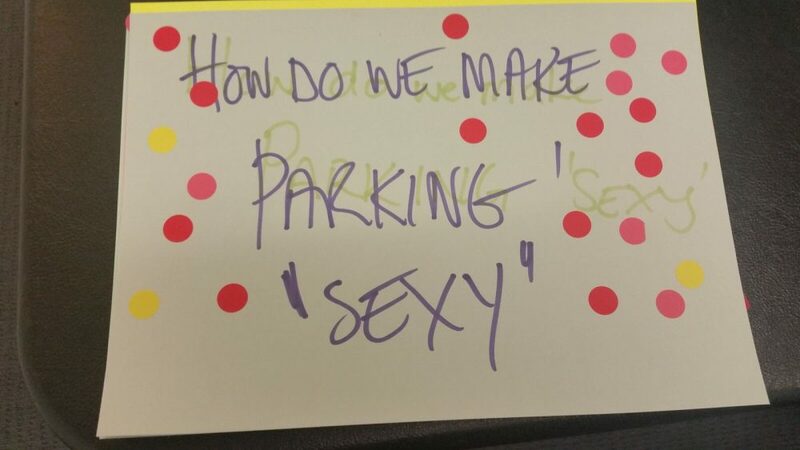 Session: Is parking Dying? What is causing parking to change? How does not owning a car work? The technology to share ownership is not quite there yet, so parking is not dying. Some bits of parking may die in some areas. More people living close to good public transport don’t have a need to drive. If Vehicle Kilometres Travelled (VKT) is greater than 5,000 per annum, then it is cheaper to own a vehicle. 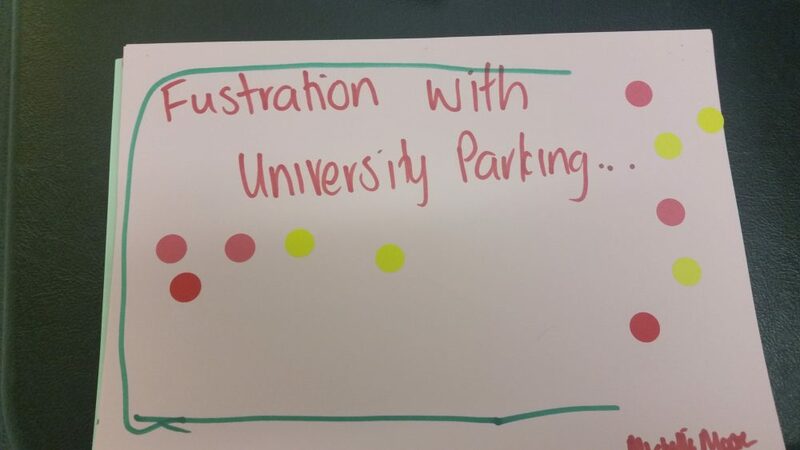 (Added after discussion: If the break-even point increases then there may be less demand for parking). People compare the cost of parking directly with the cost of public transport, they don’t take total cost of ownership into account. 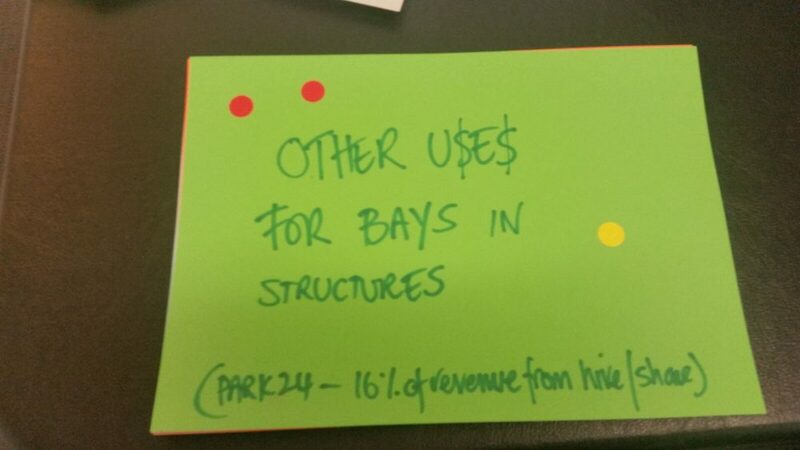 Demand for parking depends on the city structure and infrastructure. Cities that are wide spread have higher car use. Increased affluence creates more options. As new options arise the demand in other areas will reduce. It possible that the option of parking a vehicle may be reduced. Car-share cars are new (replaced every 10,000) Km. Car-share cars are being used as a substitute for motel rooms because they are cheaper if distance travelled is low (or zero). Government won’t support self-insurers in SA. 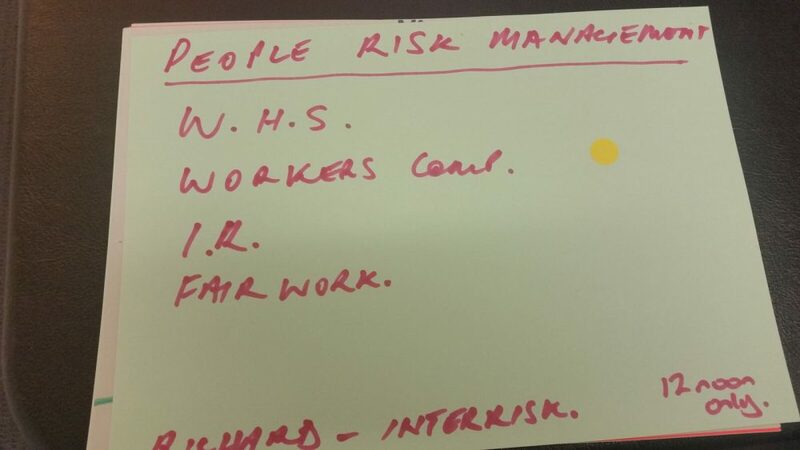 Industrial Relations – in his opinion pendulum has swung too far in the way to the employees at this stage. Now if the employee perceives there is an issue that’s sufficient. Conciliator appointed. Will work to put doubt in both parties regarding the strength of their position in an effort to resolve. If unable to resolve – then goes next phase. This is basically a court. Show you have followed the process/ given other side every other opportunity. Conciliator will communicate the strength of your position to the other party. Bullying has to be 1) repeated 2) unreasonable behaviour and 3) have impact on health/well being. If only meets two criteria then it may be the basis of a WH&S claim, but not bullying under Fair Work claim. GP’s get 47% of diagnosis correct. Workers obligations – take reasonable care for health and safety, not endanger other persons at a place of work, comply with organisational policies / follow reasonable instructions. Do all councils engage with private car parking operators? In Melbourne operator contracts run for 3 to 5 years. In Sydney 5 to 7 years. 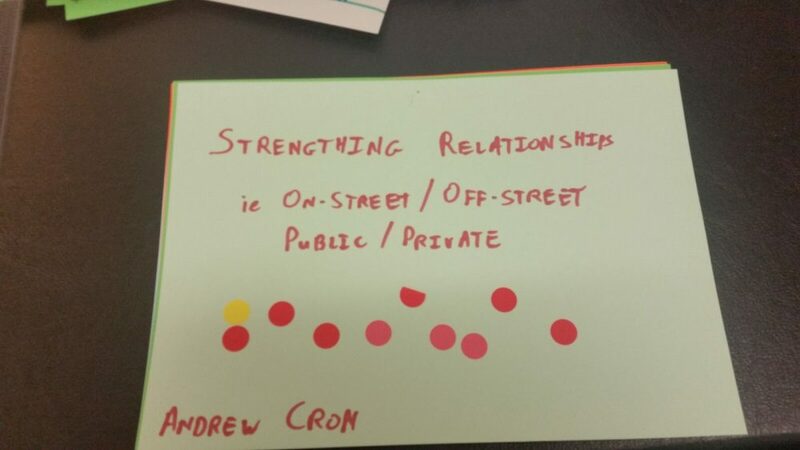 Long term – Identify areas where predominantly pedestrian orientated, gradually move parking out of this centralised pedestrian core and have parking on the outer. Donut-shaped layout. Like most Council’s Melbourne’s expiation income is reducing. 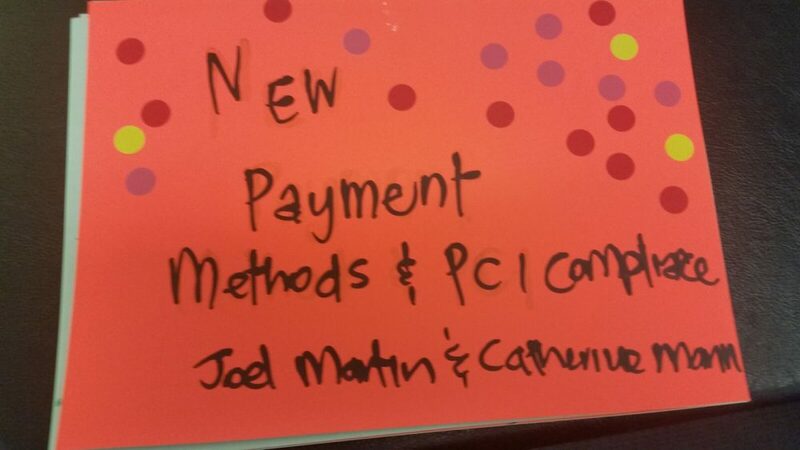 But back office costs to manage process remain unchanged. This is the area that savings can be made. Has introduced initiatives like a second reminder notice which has proven successful in increased payments prior to enforcement. Decision matrix has been built over time for Melbourne. Very large spreadsheet with every decision they have ever made captured. Can this somehow be automated?. In Sydney they have a centralised Infringement Review – not sure this is the answer. Currently in Melbourne the Prosecution Process costs $220 for $80 expiatio – Usually proven and dismissed. Offender pays court costs only. New technology – from October when officer goes to issue infringements it will alert them to a faulty meter. 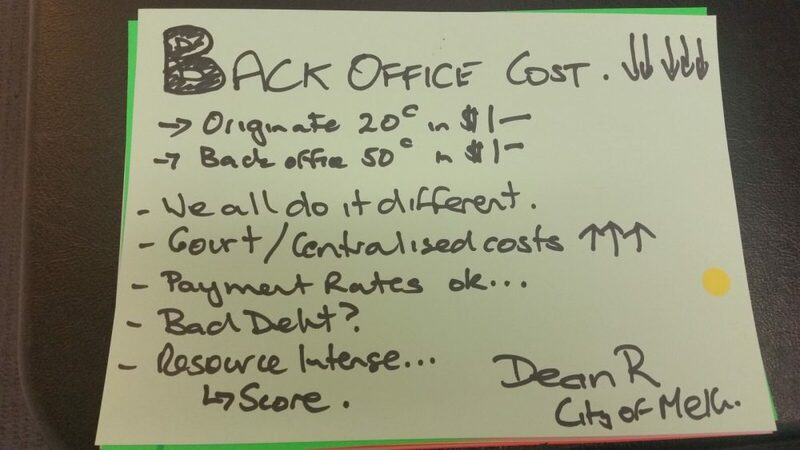 Deakin University – Staff collate info into excel staff sheet which is then forwarded for decision. Discussion then switched to on/off street council/retail parking and charging for parking – while this was off topic, the local government delegates really got into the discussion and how to gain acceptance of charging for parking, which included developing and publishing parking revenue policy/charter to show how monies raised were used. Can you turn your focus away from parking? How can we all value experience – low cost? Do we have an issue of not being able to direct people as data is not available?